Linksys RE6400 is a dual-band range extender which eliminates dead zones and boosts WiFi all over the home, even outdoors. It provides maximum WiFi speed of around 300Mbps using 2.4GHz and 867Mbps using the 5GHz band. What’s more, it is very easy to set up Linksys RE6400 range extender through extender.linksys.com. You don’t need any setup CD or installation software. 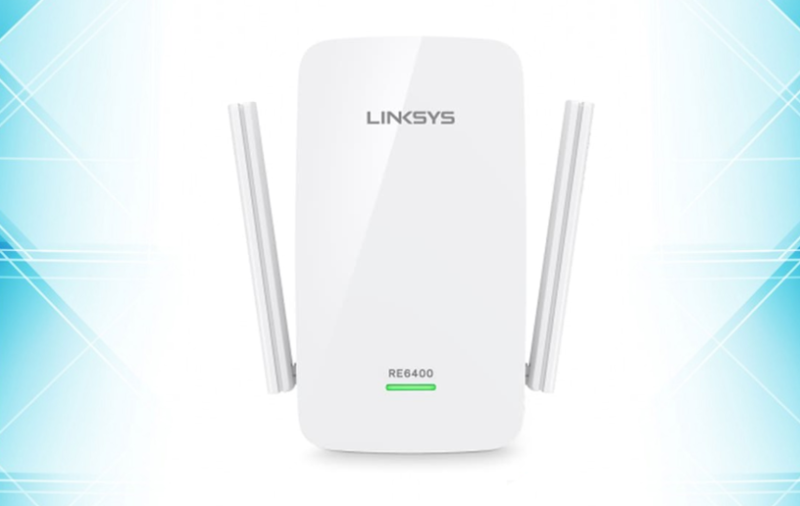 This post will thoroughly guide you on how to set up Linksys RE6400 extender in the range extender mode. Let’s dive in. For Single Story – Both antennas should position downwards. For Multi-Story – As the left antenna is intended to extend your wireless network on a horizontal plane, so its perfect position should be straight down. On the other hand, the right antenna extends the WiFi network on a vertical plane, so it should be pointing straight out or perpendicular to the wireless range extender. In simple words, one antenna should be facing downwards, whereas another antenna should position differently on the basis of where the extender is placed and where the WiFi coverage is required. Insert the range extender to a power socket. Make sure that the wall plug is providing the required and fluctuation-free power to the extender. Connect your extender to the default WiFi network using a mobile device or computer. Open a web browser on your mobile or computer and input Linksys extender Setup in the address bar. After that, press enter key. If the web-based address is not working, you can also use the default IP address to access the RE6400 setup page. Now, the Linksys extender login web page will open. Enter the user ID and password into the given fields and click login. If you are accessing the login page for the very first time, use the default credentials. Otherwise, make use of the current login details. Click on the start setup button. On the next page, wireless range extender option will be selected by default. Select your WiFi and enter the password into the given field. Now, click on next button. You will now be prompted to set up the extended wireless network which the extender will broadcast. You can change the settings if needed or leave them as default – it is all up to you. Once done, click on next button. In case the Spot Finder shows that the Linksys RE6400’s position is right, click next. It is a great function which determines the signal strength between your router and extender. If it shows that the extender is in wrong position, relocate it accordingly and go to step-1 and start the setup through extender.linksys again. Moreover, don’t forget to create a strong and hard-to-guess admin password to secure your Linksys RE6400. Changes to the settings made by you, will not be effective until you click on save button. However, you can also click on cancel option if you want to clear any changes. Congrats! Your wireless range extender is now set up. Enjoy the extended wireless coverage in every corner of your house or workplace.